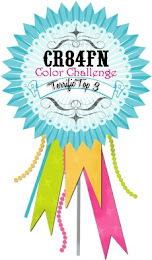 Welcome to the CTMH Product Spotlight Blog Hop for September! The blog hop makes a circle so if you are starting here just continue until you make your way back and you will have made it through them all. If you have already started and are coming from Adeline Brill's blog, "Welcome to My Creative Space", then you are on the right track. 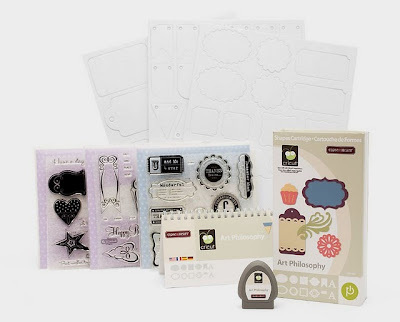 This month's product focus is...in my opinion...the greatest edition to Close To My Heart's product line since the introduction of My Acrylix® Stamps....the Cricut® Art Philosophy Collection. I've played a LOT with the new cartridge. In fact, it has brought new life into my machine. However, it was a short-lived life. I retired my original Personal Cutter to make room for my new Cricut Expression® that my wonderful hubby bought for me. I'm so excited about all the possibilities, now that I can cut larger images. Don't feel sad for my little ol' 6" Personal Cutter, though. It's not really retired, more like a job transfer. :) I took it to school, so I can use it for bulletin boards and other various school projects in my classroom. It will actually be kind of fun to make my non-paper crafting colleagues ooh and ahh over what it can do. Let's see if they make fun of me now! The only thing on this project that I didn't cut from my Cricut®...the waxy flax and ribbon. :) That's right, every piece of paper in this piece was cut using the new Cricut® Art Philosophy Cartridge. It features Tag4 on page 60, the Layer on page 60, Square4 on page 53, Circle1 (in various sizes) on page 21, and Branch1 on page 43. After cutting the various circles, using Roxy Level 2 paper, I crumpled and uncrumpled them and then sponged them with both Smoothie and Cocoa inks. As for the leaves, I simply pinched the leaves slightly to create the dimension. 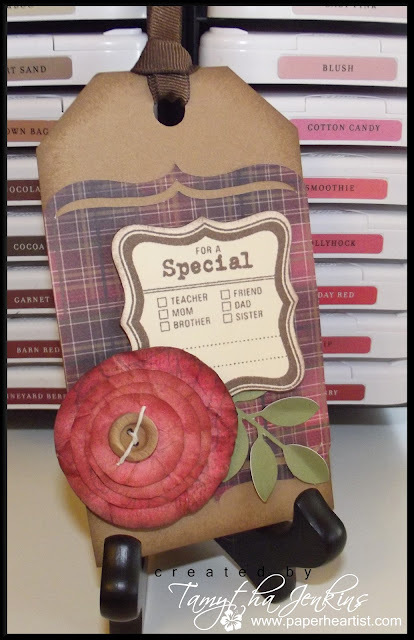 Finally, I stamped the layer with one of the coordinating stamps that is included in the Cricut® Art Philosophy Collection, using foam tape to adhere it to the tag. Here's a closer look at the Cricut® Art Philosophy Collection. If you would like to see the shape index for this cartridge, click here. This collection is such an amazing deal! Seriously! There are 700 shapes on this cartridge! Yes, you read it right. 700...as in a 7 with two zeros attached. And that's just cutting each shape out in one size! AND that's not even considering all of the negative pieces you get, which by the way, I have discovered can be as interesting and as beautiful as the intended shapes. "How much is this amazing cartridge, Tamytha?" (you might ask). "Surely, it's got to cost a lot more than the average Cricut® cartridge." Ahhh...it's certainly worth a lot more than the average cartridge. However, this cartridge, my dear reader, isn't the average Cricut® cartridge. This cartridge is part of a powerful collection of tools that will take your art to the next level. This EXCLUSIVE CTMH collection includes the cartridge (of course), but it also comes with three...I said THREE...D-size stamp sets (a $53.85 total value!) that were developed to work with shapes found on the cartridge. If that wasn't enough, CTMH also included three of the new 9 x 12 Dimensional Elements sheets, including one each of Tags, Mixed Shapes and Banners (a $14.85 total value! 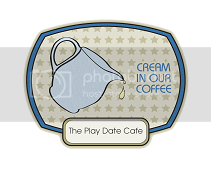 ), which also coordinate with the stamps and Cricut® shapes. "But Tamytha, you still haven't told me how much? Will I have to beg, borrow or steal to get my hands on it?" Absolutely not, though I'm not personally above begging (and batting my eyelashes a little). :) It got me the Cricut® Expression. LOL But serious, this collection is an excellent value for only $99.00! With the value of the other items, it's kind of like getting the cartridge for $30.30! But that's not all. There are three ways you can get an even better deal on this Cricut® Art Philosophy Collection. If you purchase this by September 30th, you will also earn this month's National Stamping Month promotion. 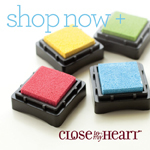 CTMH's first time ever, double stamp set for FREE (a $35.90 value)! Host an online gathering, or a home gathering, and with sales of $250 or more, you will qualify for at least one half price item. 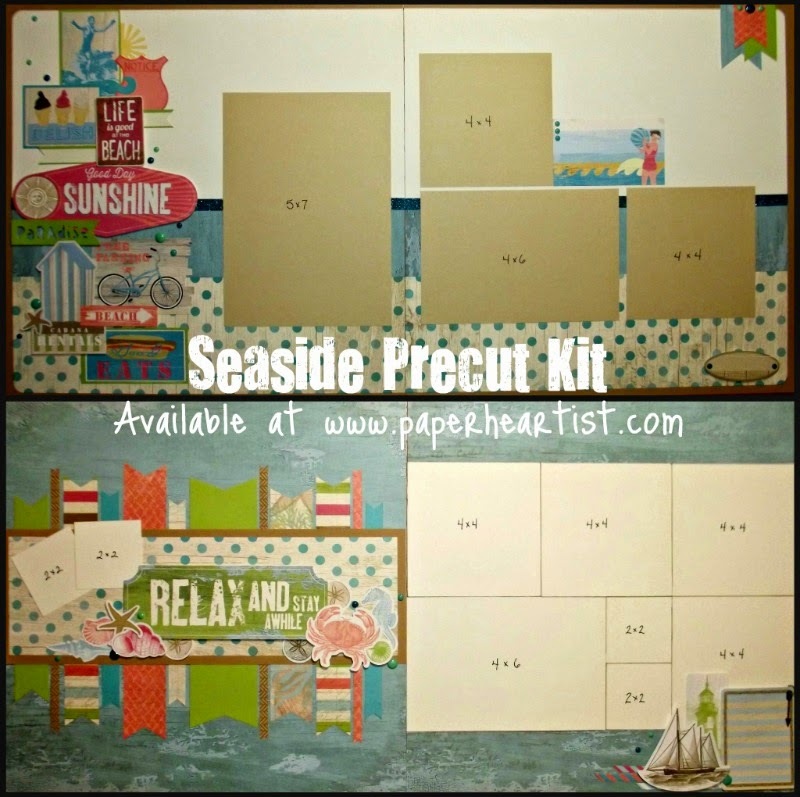 That item can be the Cricut® Art Philosophy Collection. Imagine. The collection for $49.50. Now that's really an amazing deal. An additional way to get the Cricut® Art Philosophy Collection at a tremendous deal...come back on October 1st to learn how great a deal. All I'll tell you for now is that this deal can't be beat and is only being offered on my blog (not a CTMH promotion). 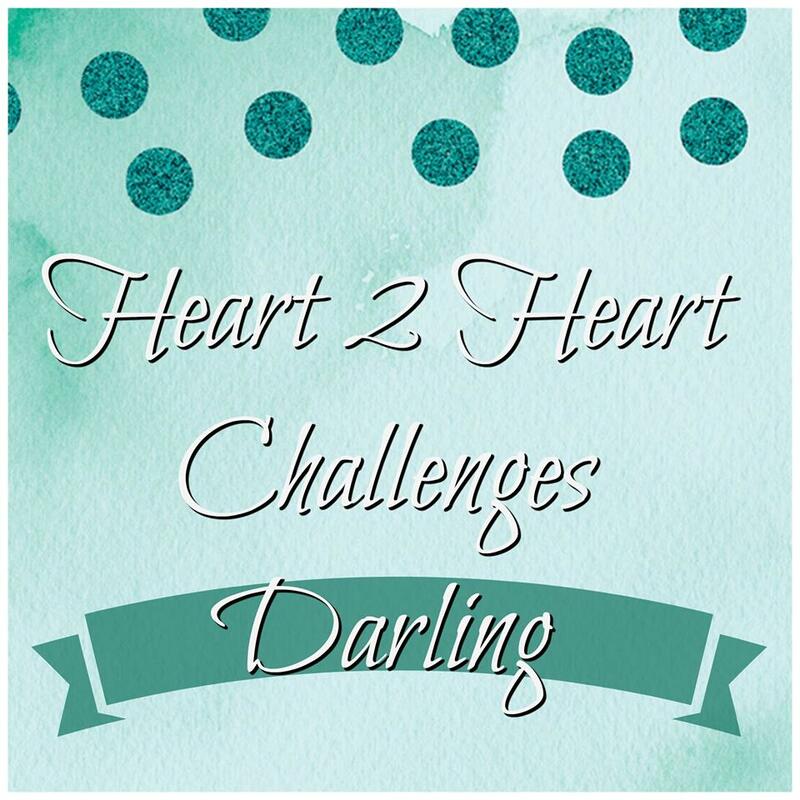 If you have time, take a moment or two to check out the rest of my blog. 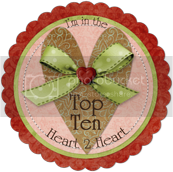 If you enjoy your visit, then please consider "Following Me", "Follow by Email", and/or leave a comment (we all love comments...the nice ones anyway), then be sure to continue along on the hop by heading over to Wendy Kessler's blog, "My Scrapbooking Blog" to see her creation. I love love love this! I am def. making one - the flower is so cute. Great idea to have a bunch of these on hand to add to gifts! Awesome tag Tamytha! Love the flowers and all the detail. I love that you used that stamp for the tag. I will have to borrow your idea. Very pretty! I can't decide which part I like more; it's lovely!